Exceptions showcases the perspectives of individuals with different visual ability through creative work. We publish a print journal, audiobook, and accessible multimedia website featuring original work and interviews with people across the visual ability spectrum. We are based at Michigan State University in East Lansing, Michigan, and host regular events engaging diverse communities of people with disabilities and neurodiverse ways of perceiving the world. For more information about submitting your work to Exceptions, visit our submissions page. Maddie is an undergraduate student at Michigan State University studying Experience Architecture and minoring in German. As a lover of the arts, she joined Exceptions Journal to help bring the arts to people with visual impairments, as well as raise awareness for the neurological phenomenon that is synesthesia. Her interests include human-centered design, writing, art, and technology. She hopes to pursue a career in User Experience design and research after graduation. Nayirah Muhammad is a double major in Journalism and English with respective concentrations in Editorial reporting and Popular Culture Studies. Her interests include reading young-adult, high fantasy, and historical fiction, practicing with her makeup kit, world-building for her impending fantasy novel, and working on getting her Youtube channel started. She is an Aries in case you couldn’t figure it out her enthusiastic disposition. Her dream job is to become an editor at Harlequin Teen and work with as many up-and-coming young adult authors she can! 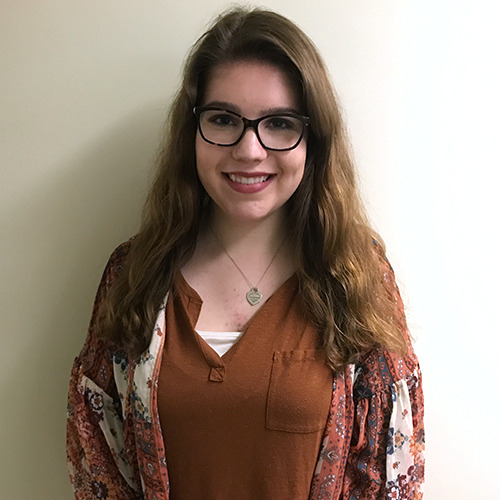 Lauren is in her third year at Michigan State studying Neuroscience through Lyman Briggs College, as well as minoring in Spanish. A few of her passions include reading, writing, making Spotify playlists, and traveling the world. This past summer, Lauren studied in Valencia, Spain where she immersed herself in Spanish language, literature, and culture. Lauren works as a care provider for individuals with special needs and through her work, has become passionate about accessibility and other issues. She also holds the position of marketing director of Spartans Rebuilding Michigan, a student-run volunteer organization that works with various community partners in the Greater Lansing area. Katie Grimes, Managing Editor, 2014-16. Alex Valenti, Assistant Editor, 2015-16. Phil Olson, Assistant Editor, 2014-15. Savannah Smith, Assistant Editor, 2014-15. Zach Reilly, Assistant Editor, 2012-15. Andrea Zuchora, Assistant Editor, 2014.